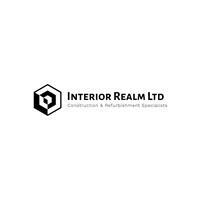 We are a family run business with over 15 years of experience, specialising in refurbishment and renovations for commercial & domestic properties. We pride ourselves on our attention to detail and quality of work from start to finish. Our team consists of highly qualified, experienced tradesmen who all share the same pride in their work as we do. We offer and provide a professional and personal service, tailored to your needs and are dedicated to ensuring that our customers are always 100% satisfied and have constant peace of mind throughout the process of our work. We constantly expand our services to meet customer needs so if the service you require is not listed above please feel free to get in touch and we will try to accommodate your needs. To discuss your needs and arrange a free no obligation quote. West London, South West London, Berkshire, Windsor, Maidenhead, Reading, Middlesex. Within 20 miles of Feltham.